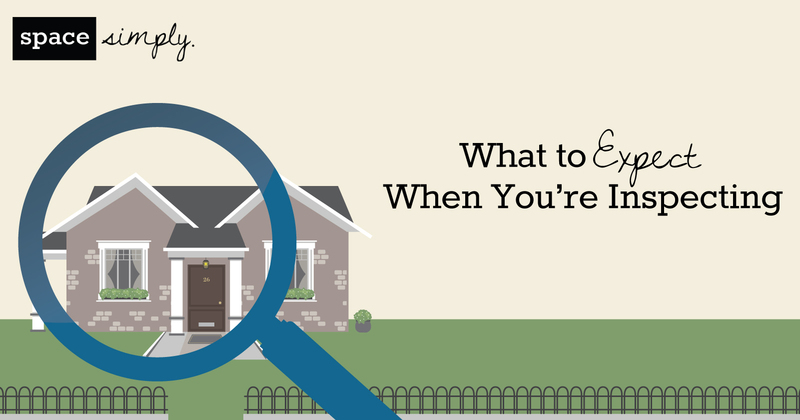 After you receive an offer on your home, the last roadblock is the final home inspection. In Des Moines real estate, it is customary for homebuyers to hire a professional home inspector to review the home for any issues prior to closing. As someone who is trying to sell their home, it is important that you take into account all the things which may be red flags for buyers and remedy as many of them as possible. Find out which problem areas to focus on and check out these improvement tips to make sure your home passes with flying colors! Two things that can kill a deal fast for home buyers are mildew stains and odors. Mold can appear in obvious places, however, it can also grow in hidden areas with high humidity. Tip: Even if the mold isn’t considered toxic, it is crucial to kill it immediately. The elimination of mold can be done by homeowners, depending on where it is and the amount of mold in the area. If a large amount of mold is found, no need to worry. Simply hire a professional to take care of the issue! In a lot of areas around the Des Moines metro, pests like termites can wreak havoc before you even notice they exist. With an appetite for wood, insulation, furniture, carpet, and more, these pests can cost you a lot, especially on the selling price of your home. Outside of termites, keep an eye out for ants and other insects. Tip: The good news is, most professional exterminators offer a free inspection. Take advantage of this to find the pests before the home inspector does. Fix leaks long before the home inspection is scheduled. The inspector will check water pressure within bathrooms, the dishwasher, and potentially the septic system to make sure things are “flowing” properly. Tip: Check for cracks or breaks in the pipes as well as steady water pressure throughout your home. This can be especially critical for properties that are heavily landscaped. Find a problem sooner rather than later to save money in the long run. A deteriorating roof or chimney is one of the first things home inspectors and home buyers notice. Beat them to it to by fixing the problems to save you and the new homeowners money. Tip: Check the condition of the roof by looking for rotted or missing shingles and replace them. In addition to the roof, make sure the bricks and mortar of the chimney are in good condition, and the base is water tight. Look at the structure and foundation of your home before the home inspector examines it. They will check that the home is not bowed or sagging, window and door frames are in good condition, and the visible foundation appears to have no significant cracks, etc. Tip: Look over these details far enough in advance to fix any issues that obviously need attention. This will potentially save you thousands of dollars in the sale. Other important pieces on the home inspector’s checklist include making sure the appliances in the home are clean and working, smoke detectors are in working order, heating and cooling systems are functional, and there are no dripping or leaking faucets. Tip: Take time to check these basic details to make sure all are in working order and ready for the overall home inspection. Ease Your Home Buying or Selling Process with Space Simply! The process of inspections, assessments, paperwork and legal documents can make closing on a home an extremely stressful and confusing process. The good news is you don’t have to do it alone! Space Simply is here to help make your home buying and selling process, well, simple! Whether you are looking to buy or sell your home or just need more information, contact us today online or call us at (515) 423-0899.